Senior Superior Court Judge David Sweat has set April 9th as the date for a third Special Election and has ordered Representative Chris Erwin to immediately vacate his seat. Judge Sweat issued his written ruling Friday afternoon. “The third 2018 Georgia House District 28 Republican General Primary Election shall take place on April 9, 2019 with all absentee ballots, early voting ballots, and other ballots to be administered in accordance with Georgia’s Election Code,” he continued. 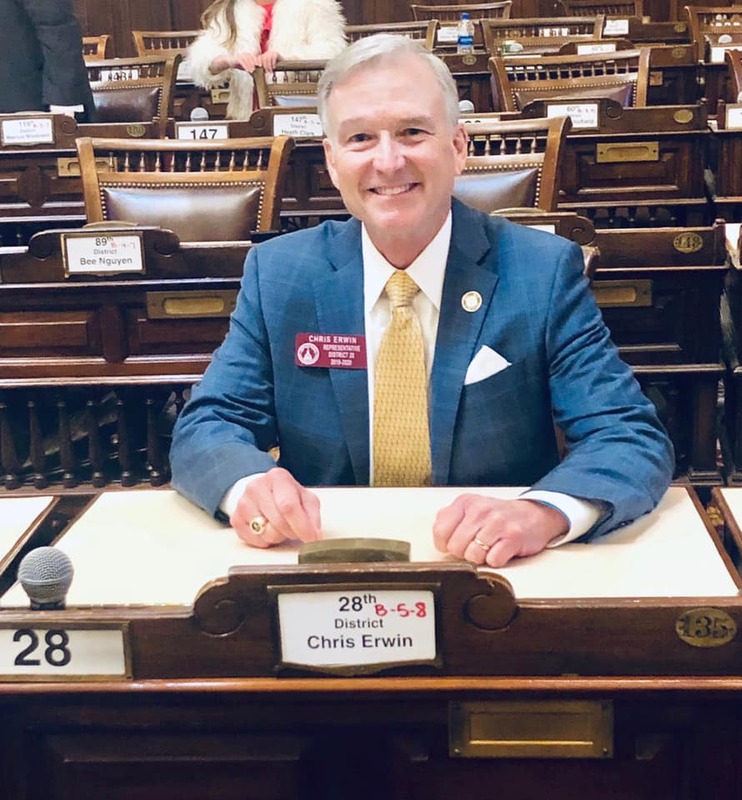 The order to Erwin by Judge Sweat to immediately vacate the seat leaves the citizens of House District 28 without representation for the duration of the 2019 General Assembly. “No decisions have been made yet about the course of action and we’re not commenting on the order for now,” Erwin’s attorney Bryan Tyson told WNEG News late Friday afternoon. On December 17 former HD28 Representative Dan Gasaway filed a lawsuit against Erwin, and the Registrars and Boards of Election in Habersham, Banks, and Stephens Counties citing 68 instances of alleged illegal or improper voting in Habersham and Banks counties on December 4. Gasaway lost that election to Chris Erwin by two votes. Erwin took the Oath of Office at the start of the 2019 General Assembly on January 14 and was quickly appointed to four committees. 21 of the instances listed in Gasaway’s lawsuit were presented in court the week of January 29 in Banks County. However, it was determined at the beginning of the hearing that no illegal voting or fraud had occurred in Stephens County during the second Special Primary election. In his ruling, the Judge said he found no evidence of wrong doing in 17 of those cases presented at the hearing, but said he found that four cases did show evidence of illegal or improper voting. Three of the votes that the Judge threw out were cast by voters living outside Habersham County or outside the 28th House District, but who still cast ballots in the Special Primary on December 4 using their old addresses. In each case, attorneys for Dan Gasway were able to show that Akers, Bower, and Franklin had moved out of HD28 more than 30 days prior to the December 4 Special Primary, against Georgia law. Another voter, Michael Burrell, discovered someone had voted by absentee ballot two days before him using his name and address without his knowledge. He was allowed to vote on the 30th, but instead of being given a provisional ballot, was allowed to use a voting machine, so only the November 28th illegal vote was counted. WNEG News also contacted Stephens County Registrar Eureka Gober this afternoon who said she had not yet received a copy of the order and could say when absentee voting and early voting would begin. The April Special Election is the third for voters in House District 28 who must decide again whether Gasaway or Erwin should represent them in the State House. Then Incumbent Gasaway lost to Erwin in the May General Primary Election by 65 votes. In June, he filed a lawsuit claiming some voters in Habersham County had been wrongly placed in House District 10 and had not been allowed to vote in the House District 28 race. In September, Judge Sweat agreed and ordered a second Special Election for December 4th.